This site is dedicated to educating the public about the fact that in our world, everything is backwards. Nothing is as it seems, nor as we've been trained to believe. This blog post is about a cancer causing herbicide called Roundup, made by pharmaceutical giant Monsanto, that is the most popular herbicide on the market today. The main ingredient in Roundup is glyphosate which was one of the deadly ingredients in Agent Orange used in Vietnam that has and is killing our own troops and veterans today, not to mention the Vietnamese population. It must be noted that Agent Orange is still causing birth defects and death in Vietnam, that few people know about. Last year Roundup was added to California’s official list of chemicals known to cause cancer. The World Health Organization (WHO), has also listed it as a carcinogen, and there are also hundreds of lawsuits across the country by plaintiffs claiming Roundup has caused them bodily harm. Yesterday, The Sacramento Bee ran an article stating that “California has put 14,000 gallons of Roundup into the Sacramento River Delta since 2010″. The purpose is reportedly to kill nonnative aquatic plants that are choking the Delta, and which according to NASA can be seen from space. The state is blaming the plant for damaging the fish habitat. Did you catch that? 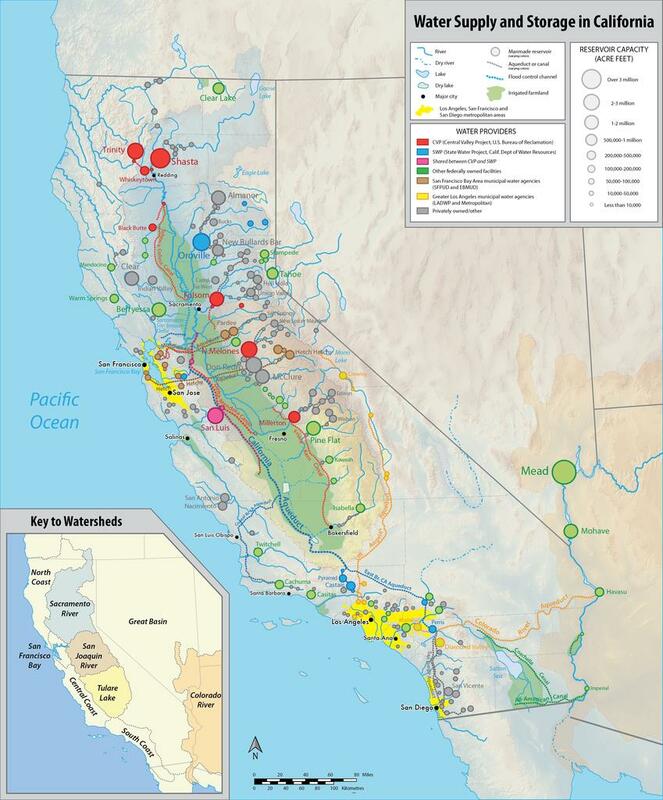 The state of California is concerned about fish habitat (fish life), but at the same time is poisoning the state’s drinking water with an herbicide that is a known carcinogen! WHAT THE HELL?! Officials say the weed-killing program has been approved by a host of state and federal agencies, and that strict limits have been set on the use of Roundup and other herbicides in the West Coast’s largest estuary, which provides drinking water to 25 million Californians. A team of state scientists also monitors the treatment locations and water quality to ensure contamination levels don’t get too high or too close to drinking water intakes and Delta farmland. “Everybody wants to make sure we’re taking care of the Delta and its natural resources and the drinking water as well,” said Gloria Sandoval, spokeswoman for the Division of Boating and Waterways. But Roundup’s critics say it’s hypocritical for one state agency to say the herbicide is a likely cancer hazard while another sprays it into a place where drinking water is pulled. The Sacramento–San Joaquin River Delta, or California Delta, is an expansive inland river delta and estuary in Northern California. The Delta is formed at the western edge of the Central Valley by the confluence of the Sacramento and San Joaquin rivers and lies just east of where the rivers enter Suisun Bay. The Delta is recognized for protection by the California Bays and Estuaries Policy. The city of Stockton is located on the San Joaquin River on the eastern edge of the delta. The total area of the Delta, including both land and water, is about 1,100 square miles (2,800 km2). So I have put this short, most important article together so that those who don’t know about the poisoning of California’s drinking water will hopefully take action by boycotting Roundup, sharing this post, and speaking out to their legislative representatives. Everything Is Backwards Blog at WordPress.com.